Bringing the vibrant flavors of Mexico to the Jersey Shore, Asbury Park oceanfront Mexican restaurant Pop’s Garage announced it will host its’ first Tacos & Tequila Tasting in its new monthly tasting series. Kicking off at 7pm on Tuesday, March 31, 2015, the evening will feature six courses of artisanal tacos paired with five selections of tequila. 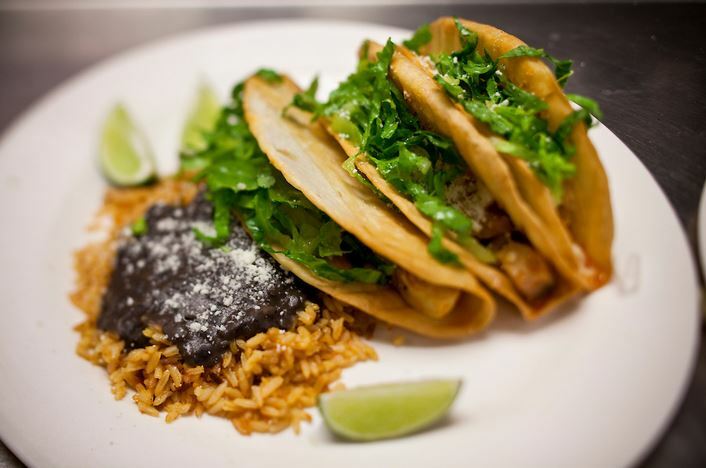 Bringing the vibrant flavors of Mexico to the Jersey Shore, oceanfront Mexican restaurant Pop’s Garage announced it will host its’ first Tacos & Tequila Tasting in its new monthly tasting series. Kicking off at 7:00 p.m. on Tuesday, March 31, 2015, the evening will feature six courses of artisanal tacos paired with five selections of tequila. A portion of proceeds from the event will benefit Community Affairs & Resource Center, a nonprofit organization that aims to empower the community and strengthen youth and families by promoting self-sufficiency through education, advocacy and collaboration. “One of my favorite travel memories from Mexico is enjoying simple road-side tacos and sipping tequila with the locals. The Tacos & Tequila Tasting at Pop’s Garage aims to capture that rich Mexican culture. It will be a fun, light-hearted event that presents the flavors of Mexico with an artisanal spin,” commented Marilyn Schlossbach, owner and executive chef of Pop’s Garage. Inspired by Schlossbach’s travels to Sayulita, Mexico, Pop’s Garage is an oceanfront Mexican restaurant seated on the Asbury Park Boardwalk that sources local ingredients to offer the best of both modern and traditional Mexican cuisine. Pop-art lined walls and fun, hanging gourd lanterns keep the vibe light, relaxed and family-friendly. During the week, Pop’s offers key nightly specials including $1 Taco Mondays; $10 Burrito and Beer Tuesdays; $5 Margarita Wednesdays; Artisanal Tacos and Tequila Flights Thursdays; as well as an oceanfront breakfast menu on Saturdays and Sundays. Tacos & Tequila Tasting will be from 7:00 p.m. to 9:00 p.m. on Tuesday, March 31 at Pop’s Garage, located in the Second Avenue Pavilion of the Asbury Park Boardwalk, 1000 Ocean Avenue. Tickets for the event are $35 in advance or $45 at the door; $5 from every ticket will be donated to Community Affairs & Resource Center. Reservations can be made by calling the restaurant at 732-576-2181.